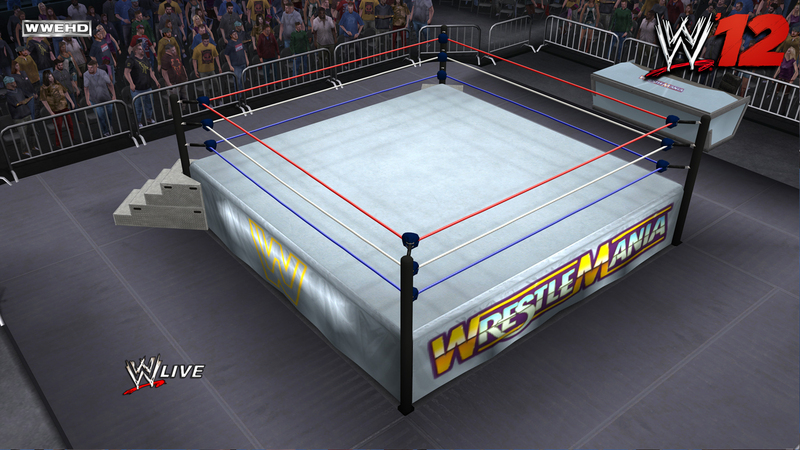 THQ has just released news regarding the major updates WWE ’12’s “Creation Suite” will be undergoing. In addition to most Creation Modes getting updated with new features / content (see the press release and screenshots below), there will be a new Create-An-Arena mode! Read on for details! WWE ’12 features the return of the franchise’s best-in-class Creation Suite, and this year, it’s bigger, badder and better than ever before. WWE ’12 features the return of fan favorites like Create-a-Superstar, Create- a-Finisher, Story Designer, Create-an-Entrance and Highlight Reels. However, the coolest creation feature making its debut this year is Create-an-Arena. 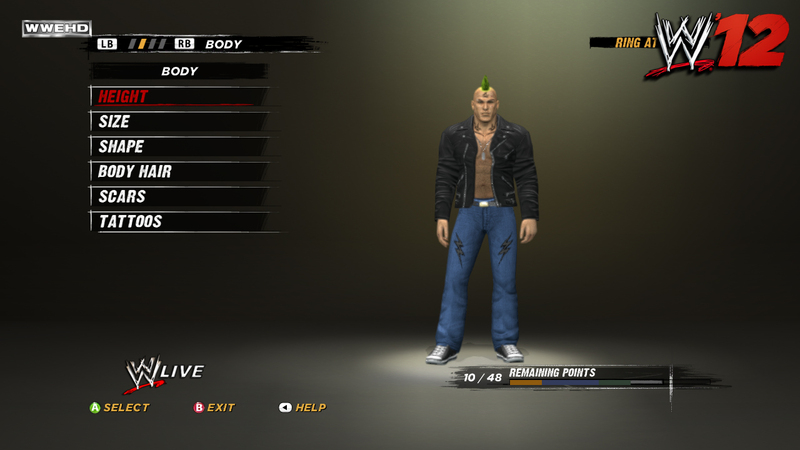 Fans have been asking for this option for years, and WWE ’12 delivers it in spades. 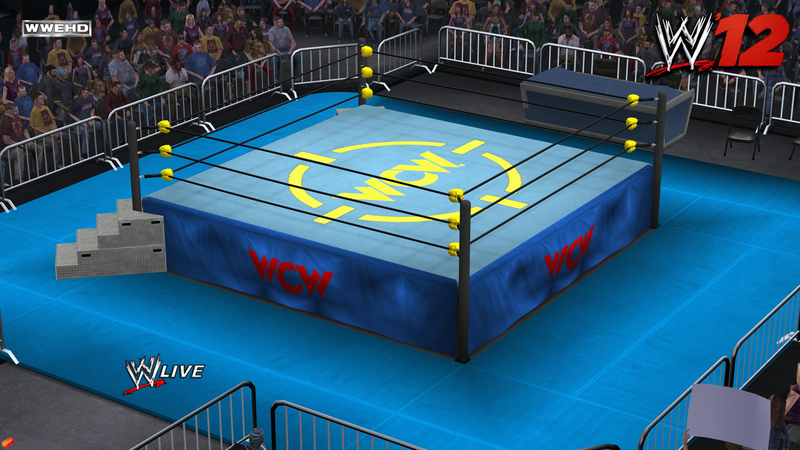 Players are able to customize a number of items, including the ring apron, ring mat, ropes, turnbuckle pads, floor mat, barricades, announce table and more. The Paint Tool also makes a return this year, which can be used by players to draw virtually anything they want. This ability opens the door for endless creation possibilities in Create-an-Arena. 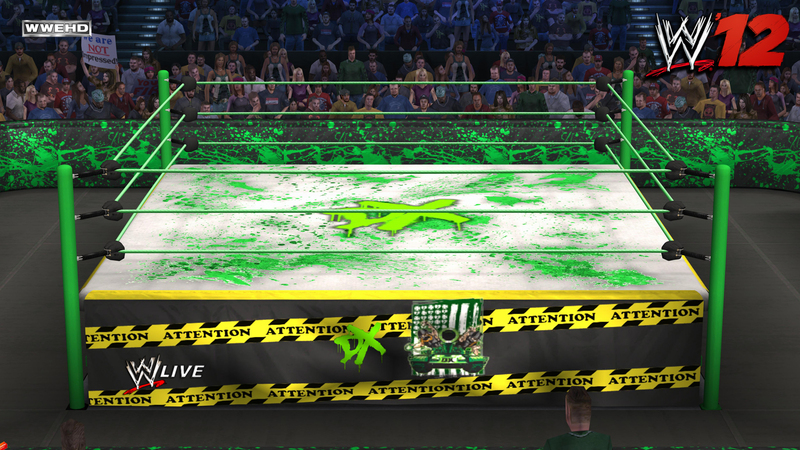 The WWE ’12 designers have seen everything from crazy and wacky arenas that feature a grass ring and cow pattern ring aprons resembling a farm to tennis courts, cheetah prints and more. 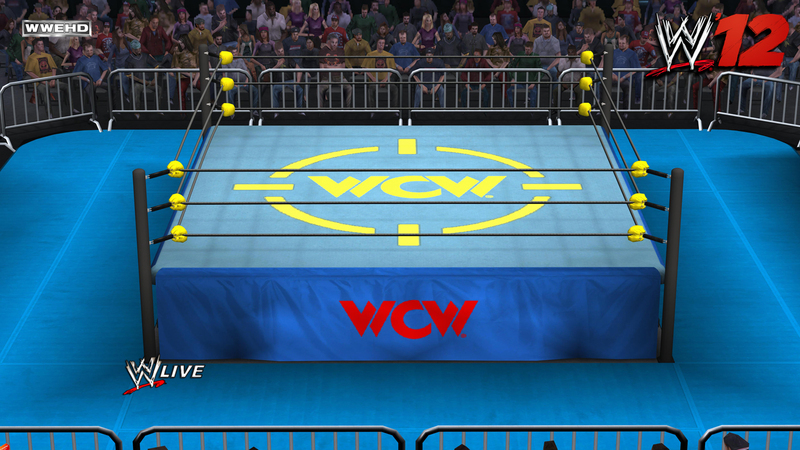 But what longtime franchise fans may be most excited about is the ability to create classic arenas from past using WWE parts and logos, including WrestleMania, Royal Rumble, WCW, AWA, ECW, DX, NWO and a whole lot more. There are over 100 logos to choose from in the mode. Perhaps the coolest thing about Create-an-Arena and the entire Creation Suite is that all player creations can be uploaded and shared online with the Community Creations online feature. 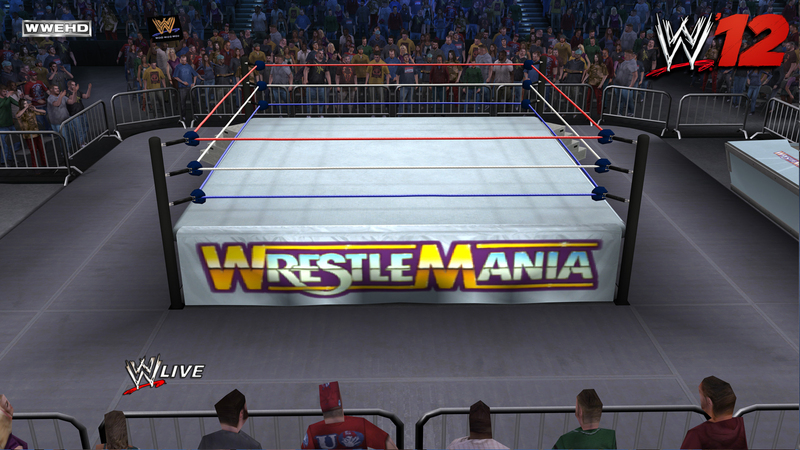 Create-an-Arena can also be implemented into the player’s WWE Universe Mode and also be featured in Story Designer. Menu Screen Poses – New pose selections have been added to the Menu Screen Pose option. 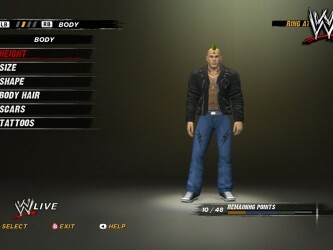 After a Superstar has been created, players are able to select a menu screen pose for their creation. The pose selected determines how the created Superstar will appear on the Superstar Select Screen, as well as in Community Creations. 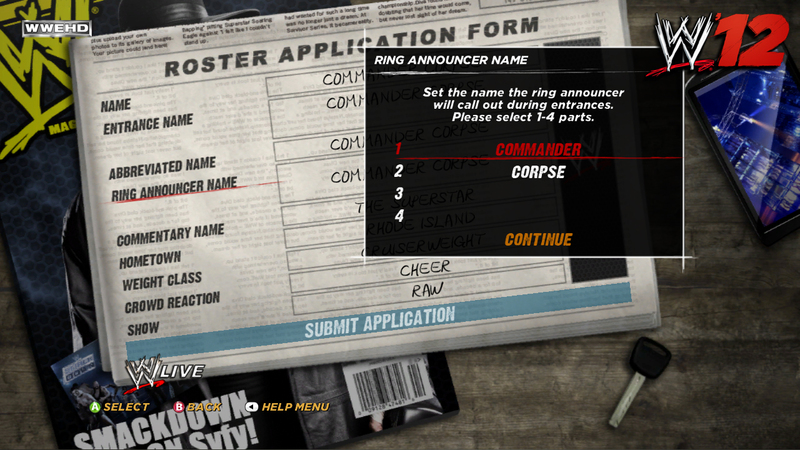 Nameplate Customization – This option allows players to customize the placement of a created Superstar’s name on the nameplate graphic during his or her ring entrance. Customizable Ring Introductions – For the first time ever, players can customize how their custom Superstars are introduced during their ring entrances. Players will be able to stitch together a maximum of four audio clips toward the creation of any custom ring introduction. Players will be able to choose from a list of nearly 600 audio clips! 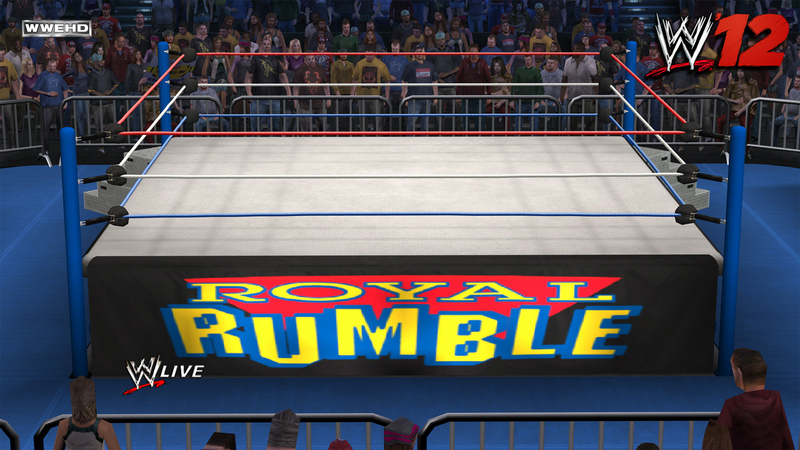 Expanded Hometown Descriptions – WWE ’12 features an expanded selection of geographic locations that can be set for created Superstars. For example, selecting the state of New York will open up a sub-menu wherein players can then select from several cities. 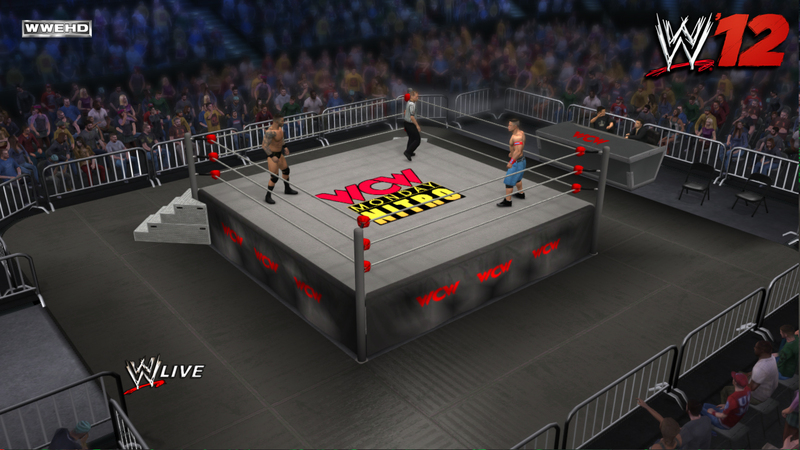 New Motion Parts – Approximately 20 new motions have been implemented in WWE ’12. Custom Entrance Video – Using the all-new Custom Entrance Video, players will be able to quickly and easily create original entrance videos for their created Superstars. The Custom Entrance Video will automatically create an original entrance movie based off of the selections made by the player (theme, theme color, logos, customizable text, etc.). New Moves – Create-a-Move Set returns with more than 100 all-new moves. In addition, all of previous moves will return (no moves have been removed). NOTE: All of the additions above pertain only to the Xbox 360 and PlayStation 3 versions of the game.